A baseball is a ball used in the sport of the same name. 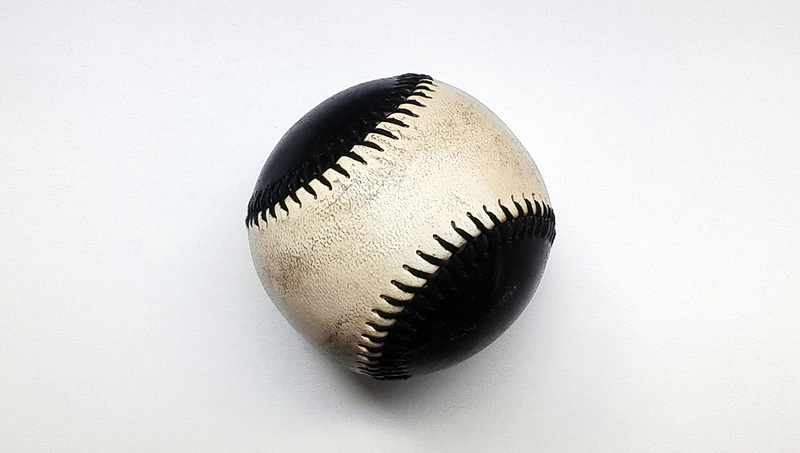 The ball features a rubber or cork center, wrapped in yarn, and covered, in the words of the Official Baseball Rules "with two strips of white horsehide or cowhide, tightly stitched together." It is 9.00–9.25 inches (228.60–234.95 mm) in circumference, (2.86–2.94 in or 72.64–74.68 mm in diameter), and masses from 5.00 to 5.25 ounces (141.75 to 148.83 g). The yarn or string used to wrap the baseball can be up to one mile (1.6 km) in length. Some are wrapped in a plastic-like covering.